Dispensing Machine holds up to 500mt coil. Spring loaded to hold strapping firm to stop recoil. 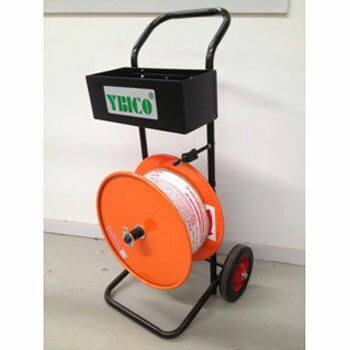 Heavy duty frame with roller bearing rubber wheels. Storage container attached to hold buckles and tools.